Apple's most important digital wellness feature may be reducing swipes and taps. iOS 12 is here, and while many of the improvements focus on processing and performance, there are a few notable features you shouldn't ignore. 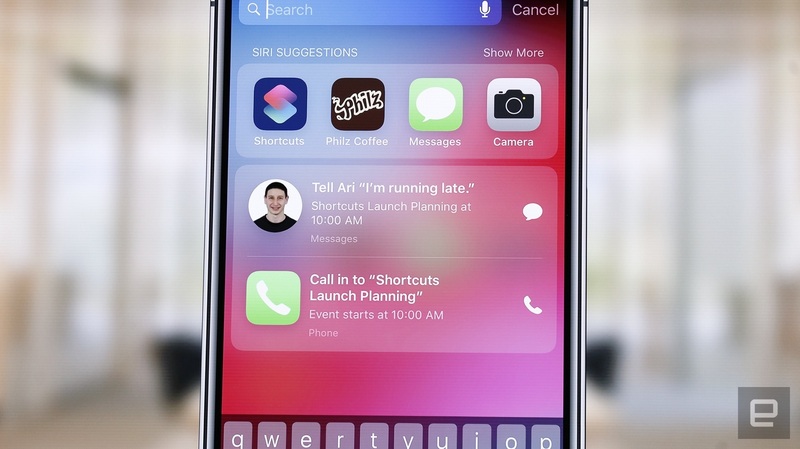 Shortcuts is definitely one of the biggest -- not only will it use notifications to suggest actions you can take, such as returning a missed FaceTime call or turning on Do Not Disturb before a meeting on your calendar, but you can also use the brand new Shortcuts app to create your own customized Siri-based triggers for third-party apps. For built-in iOS apps, shortcuts are suggestions that try to make your life a little easier; third-party apps also can monitor your activity and suggest actions based on repeated behavior, but not all of them will. Did you miss a phone call? Siri will suggest calling that person back; a simple tap on the shortcut brings up the option to FaceTime or place a phone call. Do you have a meeting you need to call into on your calendar? Siri will suggest the phone number as a shortcut, rather than forcing you to open the calendar app and find the appointment to dial the number. The idea is to make Siri more useful in your daily life by minimizing the number of steps you need to take to accomplish things. The really exciting thing, though, is that Apple has opened up Shortcuts to third-parties. Many major apps have already incorporated Shortcuts into their iOS 12 updates. Popular to-do list app Things is using Shortcuts to learn your routines. If it notices you're checking in to look over your to-do list at the same time each day, it will push a Siri shortcut to your lock screen at the appropriate time. A quick tap will pull up the app. You can also pre-fill Quick Entries with tags, dates and lists to make creating new tasks more seamless than ever. Rather than manually typing something in when it occurs to you, you can just add a Siri voice shortcut for a particular type of to-do (say, groceries) and assign it a custom phrase. Then, when you use said phrase to add items to your to-do list, they're automatically categorized and tagged. You can also pull up lists you use regularly, as well as add repeated to-do lists in a template-like fashion, such as a packing list. 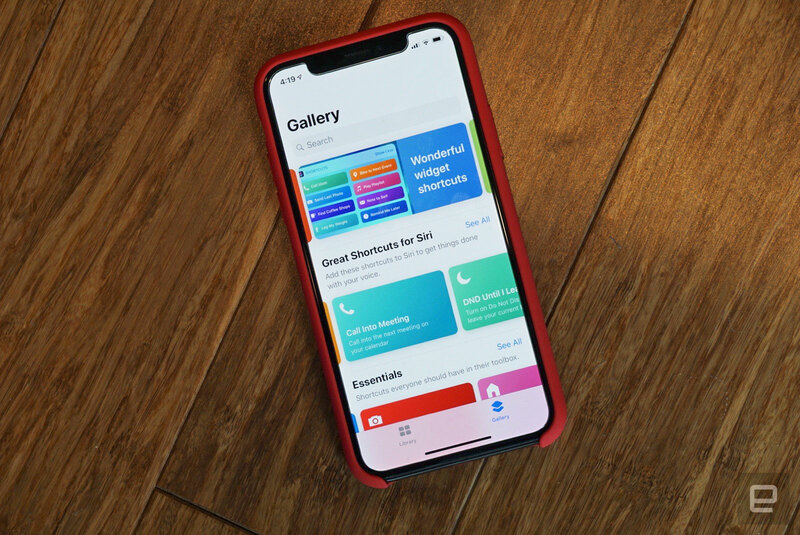 While some of these features have been available through third-party apps like IFTTT and Google Assistant, Apple has now integrated them directly into the iOS. Music app Pandora is also taking advantage of Shortcuts at iOS 12's launch. Siri can learn your music preferences and suggest your most-listened to Pandora stations, but you also can take the reins and add a custom Siri phrase to listen to your favorite artist, album or playlist. Productivity and note-taking app Evernote is also taking advantage. 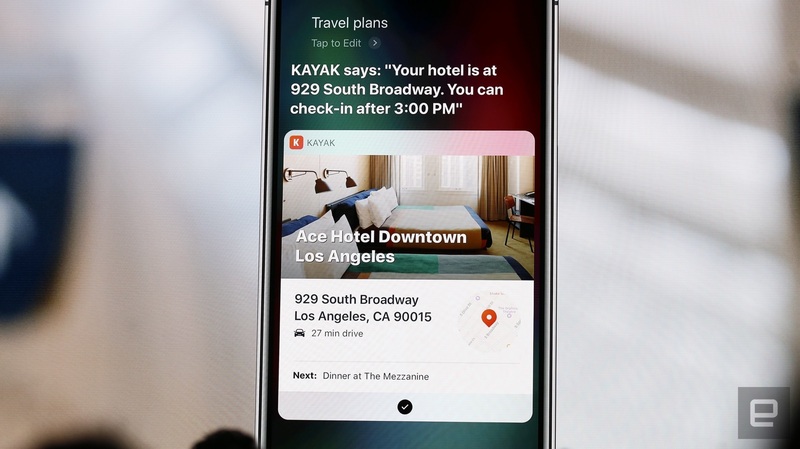 If there's a specific notebook or note you pull up often, now you can create a custom Siri command to make the process seamless. You can also see a saved search, create a new camera or audio note, copy a note link to the clipboard and print a note, all through Shortcuts. Even Google News is getting in on the action, making it easy for users to navigate to the news sources and stories they want to read. And Ulysses, the popular writing app, now allows users to add voice commands to complete recurring actions. You can open a new sheet, view a group of sheets or see a single sheet using a custom Siri command. Taking a stroll through Apple's Shortcuts app presents all kinds of new possibilities. "Open in Chrome," which opens a link in Google Chrome, is certain to be useful to people trying to break their phone's dependence on Safari. Another useful shortcut is "Add iBook to wishlist," which will allow you to add a book's title and price to a Reminders list so you don't forget about it later. As more apps take advantage of Shortcuts, it will quickly be an indispensable part of the iOS experience. It may even finally make Siri play nicely with Spotify, for example. Additionally, it may help Apple's larger push to reduce screen time by minimizing the number of taps and swipes we need to get the basics done, maybe the most effective feature to get us looking our phones less.